Opinion: Graphics are really nice. Typical shoujo style. Sometimes the funny parts are drawn funny, but it works really well. Now as for the plot, you may be thinking it is just like Wallflower. It aint. Wallflower is a lot more comedic and episodic then Kimi ni Todoke. 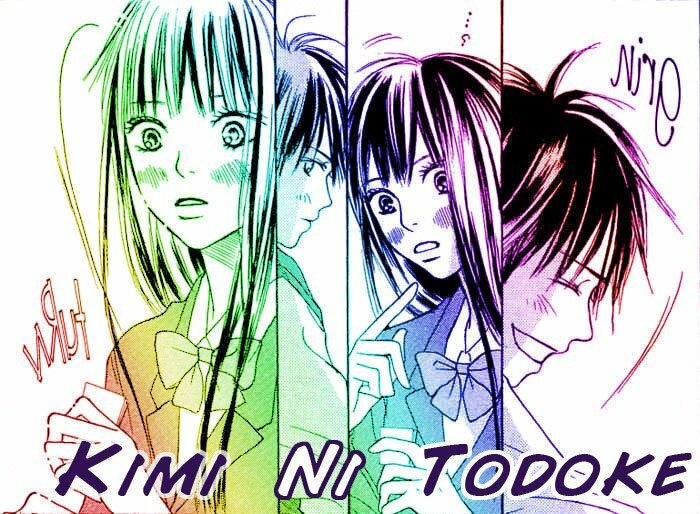 Kimi ni Todoke can be SO funny just because the main character is so innocent. At one part she apologizes for not being able to summon ghosts. Hilarious. The story is very original as well, from what I’ve read. The romance between the two main characters is SO SWEET. SO SWEET. They are so freaking cute without all the drama. Very refreshing. Extra: You should buy the first volume at least. It’s really thick for 9$ American 11$ Canadian… and it comes with STICKERS! It is a great story too… but STICKERS!